Our school year doesn’t begin until right after Labor Day, but since I identified Labor Day resources for lessons in my United States History class, I thought a “The Best…” list might be helpful. During my nineteen year community organizing preceding my entry into the teaching profession, I worked very closely with organized labor and saw and experienced the huge positive difference its power made in people’s lives. Though I’m a member of my local teacher’s union, I haven’t been very active. However, I’m very aware of the benefits the union has won for my students and for me. No institution is perfect, but I would not want to live in a society where organized labor was not a vibrant force. You might also be interested in The Best Resources For Learning About May Day. EL Civics has a Labor Day Lesson. The Library of Congress has online resources on The First Labor Day that can be adapted for English Language Learners. Why Do We Celebrate Labor Day? comes from How Stuff Works. Here’s a Labor Day infographic. ESL Holiday Lessons has one on Labor Day. Top 10 Things You Didn’t Know About Labor Day is a slideshow from TIME Magazine. What happens if America loses its unions is from The Washington Post. Labor Day facts is from The Washington Post. The History of Labor Day is from The United States Department Of Labor. 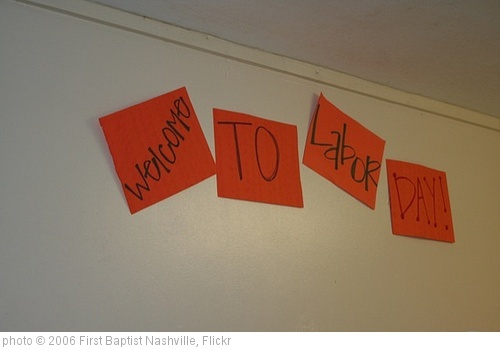 How Labor Got Its Day is a lesson plan, including several good links, from Econedlink. How school textbooks distort labor history is from The Washington Post. Workers face an economic power gap is also from The Washington Post. A Brief History of American Labor is an interactive timeline from The American Prospect. Viewpoint: The Decline of Unions Is Your Problem Too is from TIME. I’ve Always Hated The Idea Of Labor Unions, But It May Be Time To Reconsider is from Business Insider. Labor Day Past and Present is from Middleweb. 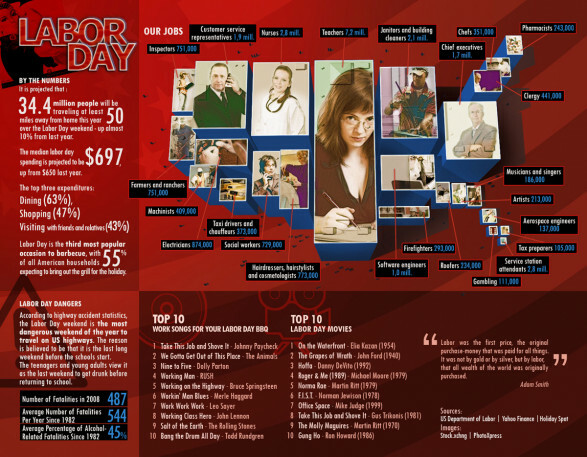 Fast Company has an impressive infographic on Labor Day. This Labor Day, What’s the State of the Unions? is from Bill Moyers. Labor Day Lesson Plan: Unions Today is from The PBS News Hour. Happy Labor Day, in eight charts! is from The Washington Post. Where Wages Have Grown the Most (and Least) Since the Recovery is from The Atlantic. US unions are shrinking. These 7 charts show what that means. is from Vox. The Power In Our Hands: A Curriculum on the History of Work and Workers in the United States is from The Zinn Education Project. The bloody history of Labor Day is from The Week. Labor Day’s radical roots: How a worker revolt on the B&O Railroad almost became a revolution is from The Washington Post. What Is Labor Day? A History of the Workers’ Holiday is from The NY Times. Please let me know if you have ideas for additional resources. The link below looks like a good resource to teach about the Labor Day holiday. Here’s another one where you might find some useful stuff. Well said! The fashionable habit of dismissing unions and their vital role in improving salaries, working conditions, and families has been almost written out of the mainstream media. Your links provide needed perspective. Thank you for helping organize, in a new way on the internet, teachers and students as we struggle to become what we can be … in the 21st century! Finally, while I appreciate and admire John Lennon’s working class hero song, I guess that I share your assessment that we can’t include it on recommended school links given the adult vocabulary. Still, I wanted to give Lennon a little hat tip here!